Dr. Keith J. Laidler, University of Ottawa, is the 1987 recipient of the Henry Marshall Tory Medal of the Royal Society of Canada for his research in chemical kinetics. Professor Laidler is one of the twentieth-century pioneers in the remarkable progress made in chemical kinetics leading the way in the development of Transition State Theory which provides the modern kinetics theory. Much of this work is distinguished by quantitative mathematical evaluation and development of critical kinetic criteria for the understanding and elucidation of reaction mechanisms. Professor Laidler's work includes seminal contributions in several areas of the field: gas phase reactions, kinetic aspects of reactivity of electronically excited molecules, and construction of potential energy surfaces for such processes; development of treatments for kinetics and mechanisms for surface reactions and solution reactions, introducing modern concepts of solvation through dielectic polarization effects in the treatment of ionic redox reactions and of reactions producing or consuming ions; gas phase free-radical reactions involving pyrolysis and other thermal decomposition processes; and finally, in more recent years, the kinetics of enzyme-catalysed reactions. In this work, Dr. Laidler's contributions usually addressed critical points in the development of the subject, and his papers often led to new lines of research development and to new levels of understanding of the problems involved. In the past two decades he has concentrated his efforts on solution reactions and on reactions of biological importance. He is the co-author of The Theory of Rate Processes, one of the most important books published in the field. It is a volume that almost every physical chemist requires at some time during his work. His abilities and achievements as a teacher and writer, and his concerns for the communication of science are well recognized by his students and his peers. His contributions, which comprise some 250 research publications and nine books, form a cornerstone of the subject, and he is internationally ranked as one of the top three chemists in this field. Born in Liverpool, England in 1916, Dr. Laidler earned his M.A. and D.Sc. from Oxford and his Ph.D. from Princeton University. 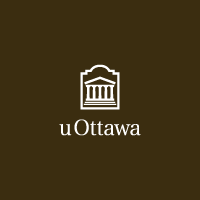 He joined the University of Ottawa in 1955 where he is currently Professor Emeritus, Department of Chemistry.